To fulfill the diverse requirements of our clients, we are engaged in offering PU Sausage Applicator Guns. These heavy duty aluminum bodied guns are offered with stainless steel nozzle and Teflon coating, which ensure easy cleaning. 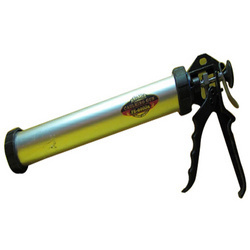 Moreover, this help in allowing gun grade expanding foam to be applied in a clean and precise manner. The guns offered by us are tested on various parameters so as to ensure their compliance with set industry standards and norms. 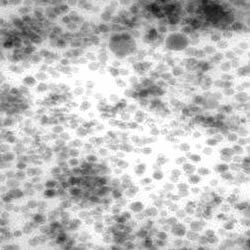 NEURON-7020 Silicone potting and Encapsulating compound is a pourable rubber base which, with the addition of catalyst, becomes a firm, flexible rubber when cured at room temperature. The cured rubber exhibits good di-electric AND OTHER MECHANICAL properties. NEURON-7020 can be used for a broad range of mechanical and electrical/ electronic applications. Such applications include potting and encapsulating electrical coils, connectors and printed circuit boards. Thoroughly clean the substrate with a non-oily solvent such as NEURON - 410. Then apply the catalyzed NEURON-7020 to the surface and allow to cure as recommended. Select a mixing container 3-4 times larger than the volume of NEURON-7020 to be used. Weigh out the base compound (Part-A) and stir base material well before adding the appropriate amount of catalyst (Part-B). With clean tools, thoroughly mix the base compound and catalyst, scraping the sides and bottom of the container carefully, to produce a homogenous mixture. When using power mixers, avoid excessive speeds which could entrap large amounts of air or cause overheating of the mixture, resulting in shorter pot life. 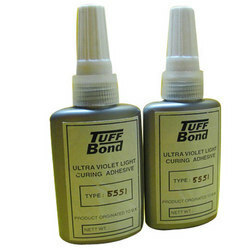 Owing to our vast experience in this domain, we are engaged in offering superior quality Ultra Violet Light Curing Adhesives. These adhesives are cured in seconds on exposure to long wave ultraviolet light or visible light, heat or with an activator. The speed of automated assembly is optimized by the light-curable adhesives and also enable 100% in-line inspection. In addition to this, these adhesives help in increasing product throughput. 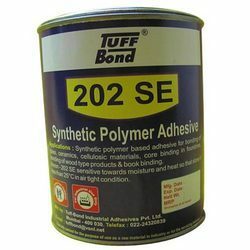 Owing to our vast experience in this domain, we are engaged in offering a wide range of Structural Adhesives. Processed using superior quality raw material, these adhesives are in compliance with the set industry standards and norms. 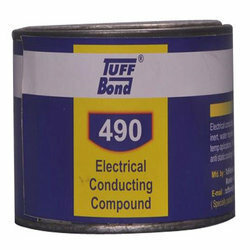 The adhesives offered by us are used in bonding friction. 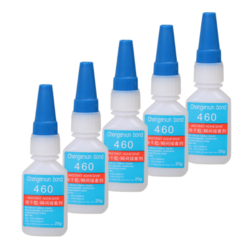 Owing to their high resistance power, these adhesives are widely demanded by the clients. Offered in various specifications, our adhesives can be customized as per the requirements of our clients. 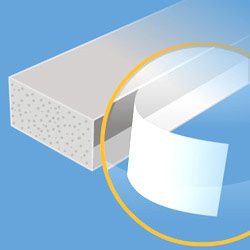 HBP 789 is a one part, general purpose Weather sealant based on hybrid polymer, suitable for sealing joints subjected to movement of less than +/-10 %. 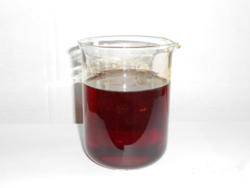 It has good adhesion to wide variety of substrate such as plywood, GI, aluminum, MS, FRP etc. HBP 789 is supplied in 600ml Al foil Sausage packed in boxes of 20 and 310 ml plastic cartridge packed in boxes of 25. Store in a dry and cool place with temperature below +30°C. 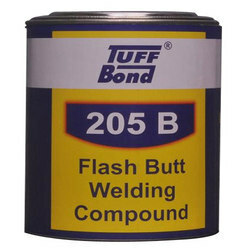 Use within 12 months from date of production. Looking for Industrial Adhesive ?